Do you want to 3D print something in plastic, but you want it to be waterproof as well? Then we have the perfect solution for you! Our online 3D printing service is 3D printing plastic parts with Nylon PA 12, and then we apply our unique post-treatment method to make them water-repellent: Smoothing Beautifier. It is very different both aesthetically and practically from the other finishing options Sculpteo provides: polishing, varnishing, dyeing or painting. Let’s have a closer look to this particular finish and see how it can meet your needs. Smoothing beautifier is our patent-pending process developed by the Research & Development team of Sculpteo. This finish is applied on plastic parts, produced by our SLS (Selective Laser Sintering) 3D Printers, to give them a smooth and glossy surface. 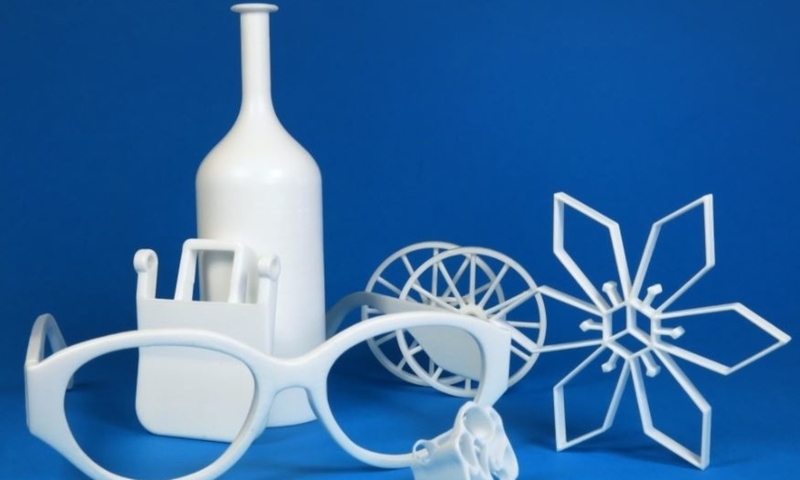 With this finish, 3D printed objects look like finished products! 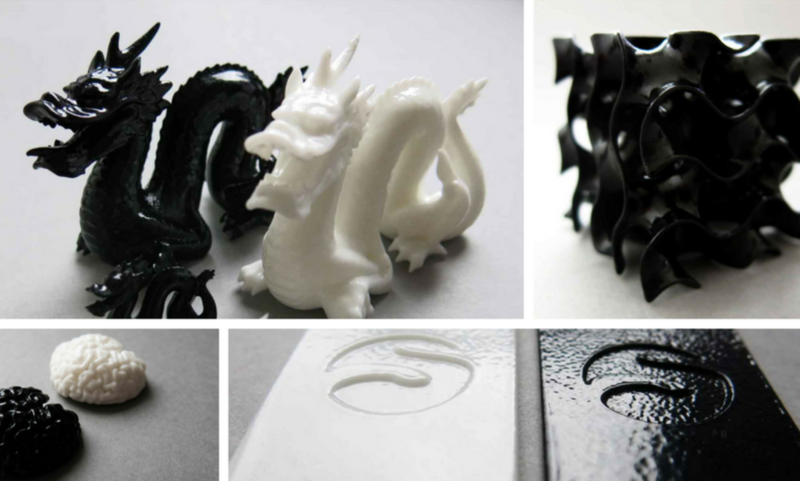 Apart from the aesthetic improvement that it gives to the objects, Smoothing Beautifier’s as mentioned in some of our previous blogposts (Smoothing Beautifier portfolio for instance), it can also be a great choice if you need waterproof 3D printed parts! In general, parts produced with SLS technology, are not water-repellent. Though, once the smoothing beautifier finish is applied, your 3D printed parts do not run any risk of absorbing water. It took many experiments in the laboratories for the team of Sculpteo to develop this post-treatment procedure. In order to create this glossy effect, smoothing beautifier takes an exclusive physicochemical process to create surfaces that look as if they were made with plastic injection, which is applied on the surface of the part right after it comes out of the printer. In fact, the picture below proves that smoothing beautifier is applied to narrow the quality gap between injected molded surface quality and 3D printed part surface quality. Smoothing beautifier finish can be applied on any 3D printed part made of plastic Nylon PA12 of maximum dimensions: 140x250x90 mm and of minimum dimensions: 15x15x0.5 mm. Be careful that the part you wish to apply this finish on, should not be hollowed, as hollowed objects can’t have this finish applied due to the excess of powder inside the object that can’t be removed correctly. Moreover, for the moment, the smoothing beautifier is only available in white plastic, and in white plastic dyed in black. If you wish to know more about the technical specifications of the smoothing beautifier finish, find all the necessary information on this page. 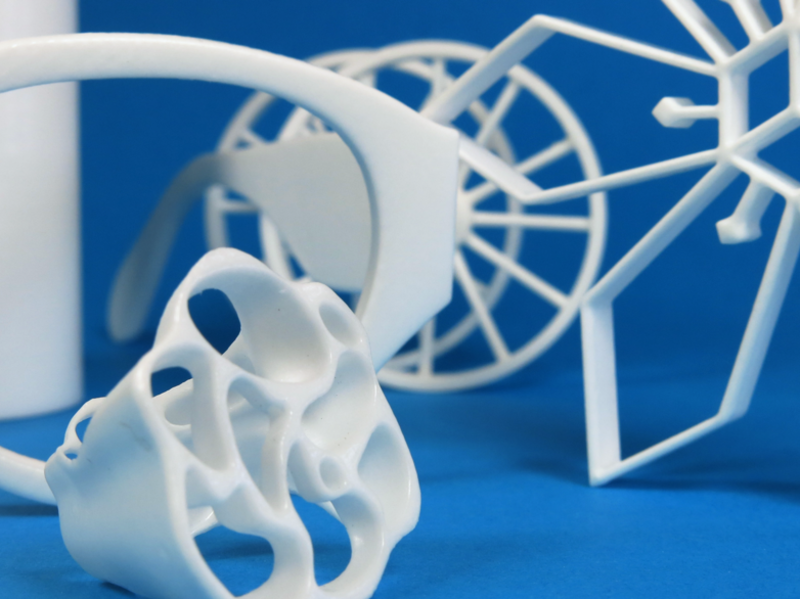 In case you want to give the surface of your 3D printed parts another look, check our available post-treatment options for your 3D printed objects.